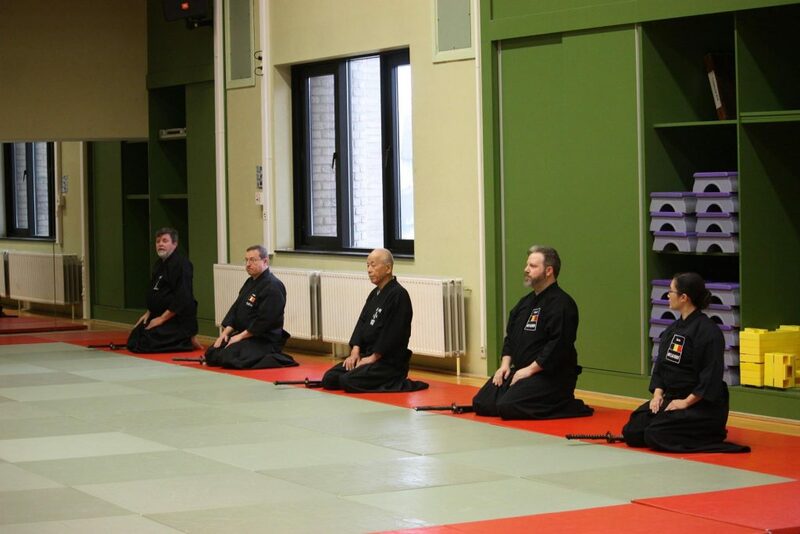 The Brussels Yaegaki Kai is an Iaido (居合道) dojo located in Brussels (Uccle) Belgium. 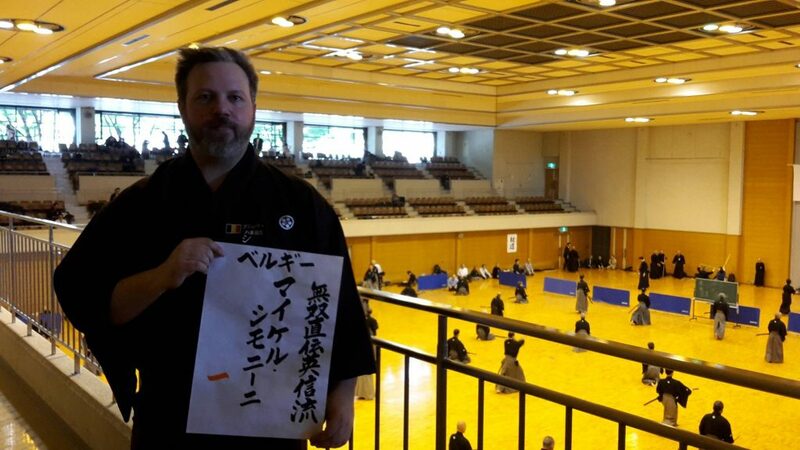 We hope that this website will promote the development of Iaido. A Japanese martial art coming directly from the samurai-time. 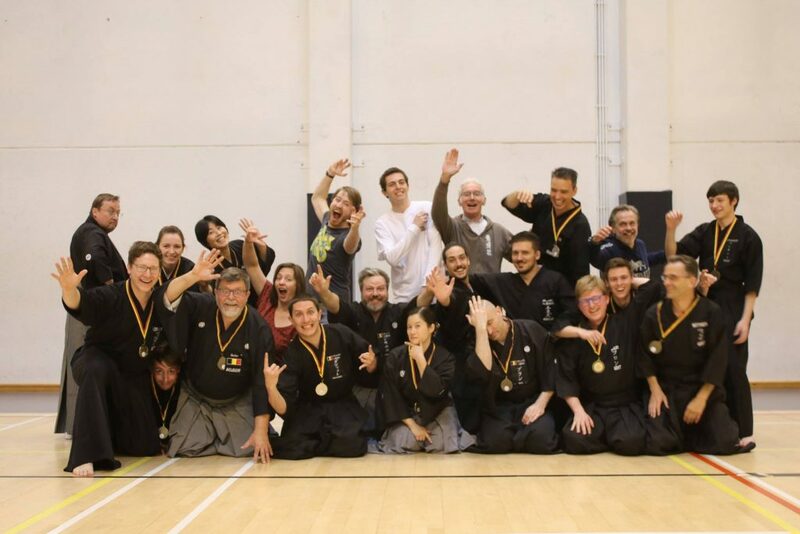 The Brussels Yaegaki Kai - Iaido Club Ucclois is an affiliate of the All Belgium Kendo Federation (ABKF), which itself is part of the International Kendo Federation (IKF). 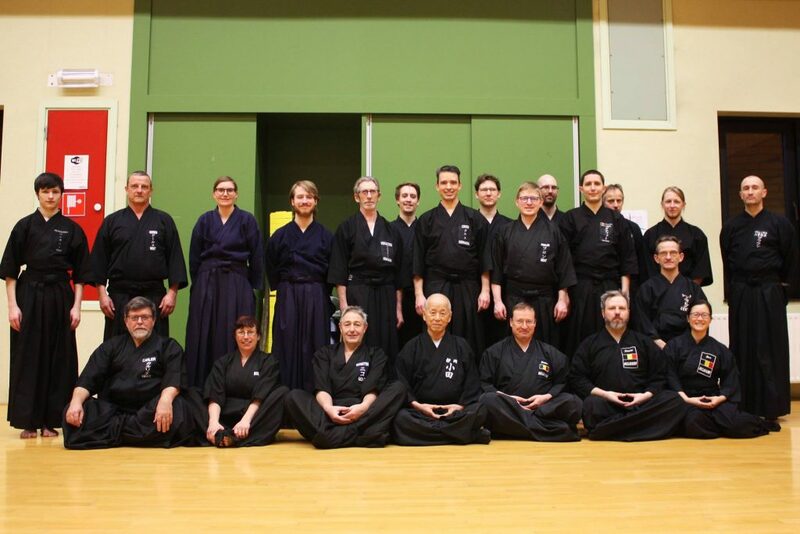 Membership in the Brussels Yaegaki Kai dojo is open to anyone interested in learning Iaido and all skill levels are welcome. View our training hours page. The Belgian Team at his best !!! Posted: November 22nd, 2016 under Iaido, News. There was a special Iaido embu, to celebrate 150 years of Japan-Belgium Friendship, in the beginning of the Koryu seminar. Mr Ishii, Ambassador of Japan and his wife assisted the embu together with a number of iaidokas. The embu was presented by the three Belgium nanadan; Patrik Demuynck, Emilio Gomez and Philippe Bruwier; and by Oda sensei (hanshi hachidan) and Furuichi sensei (kyoshi hachidan). Posted: August 20th, 2016 under Iaido, News. 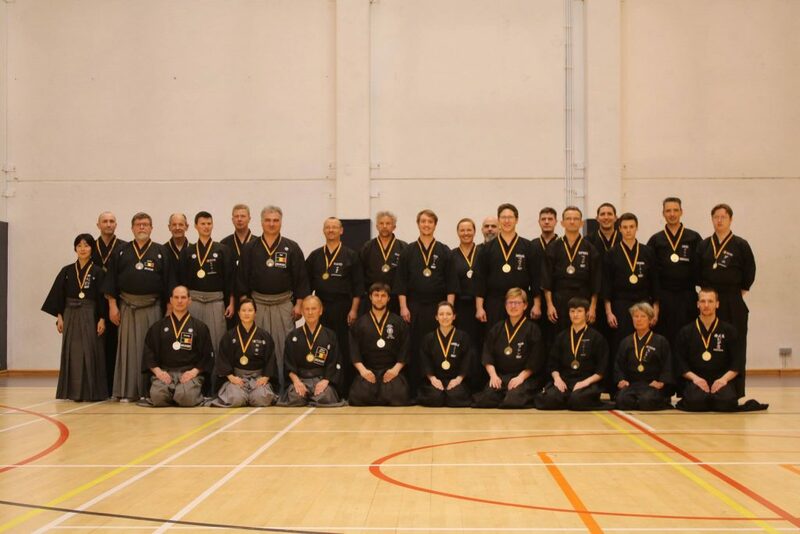 This year, the 19th ABKF Iaido Championships took place on May 15th in Havré. It was a wonderful day with great shiai. Posted: May 15th, 2016 under Dojo, Iaido, News. Posted: May 3rd, 2016 under Dojo, Iaido, News. 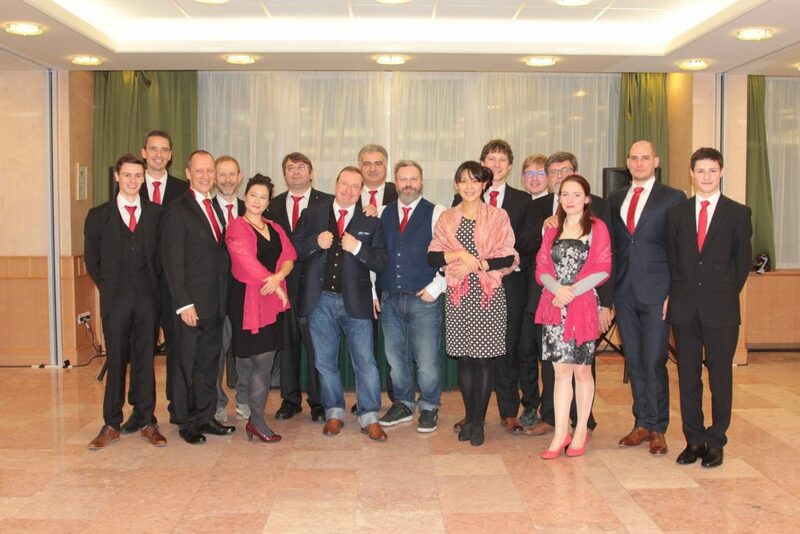 Congratulations to Brussels Yaegaki-Kai members who recently succesfully passed their Kyu grading. Congratulation to Dominique, Cédric and Benjamin for their 4th Kyu and Petros for his 6th Kyu. Let’s continue to train hard. Gambarimasho !!! Posted: March 30th, 2016 under Dojo, Iaido, News. Let’s continue to train and party hard. Gambarimasho !!! Posted: February 21st, 2016 under Dojo, Iaido, News. Congratulations to Brussels Yaegaki-Kai member Leopold V. who successfully passed his 4th Dan grading this sunday 20/12/2015 at the ABKF Winter Seminar 2015. 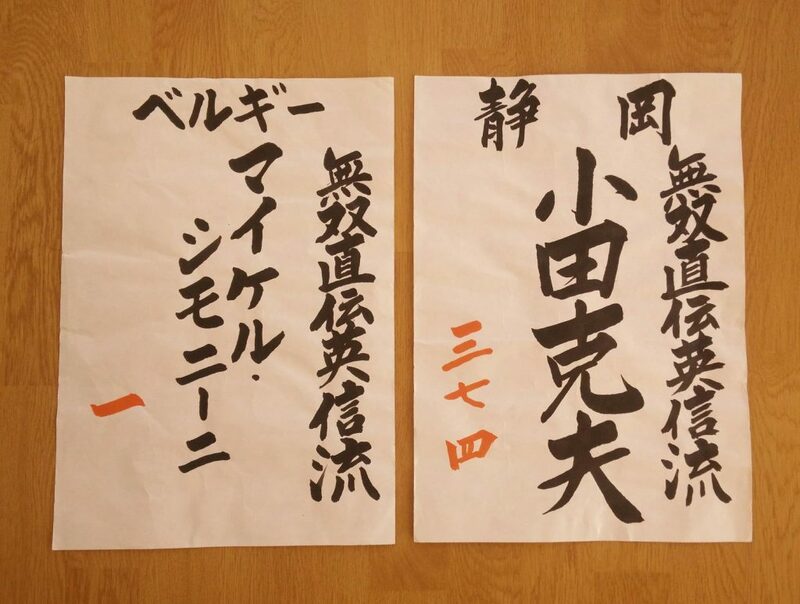 Posted: December 20th, 2015 under Dojo, Iaido, News.